"The exponential growth of industrial data offers manufacturers new opportunities to further improve production processes… But without democratizing access to analytics, companies will not be able to leverage their greatest resource: their engineers.” - Thomas Dhollander, VP Products and TrendMiner Co-Founder. 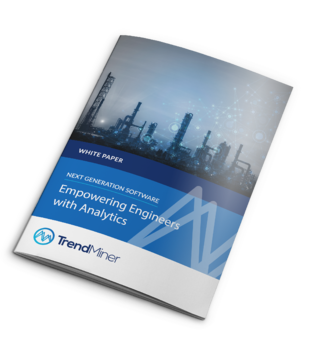 Download this free ebook and read about the benefits that modern process engineers can gain from improved analytics awareness, as well as how a new generation of software solutions can solve many challenges, democratize access to analytics and helps manufacturers to improve plant profitability. Please fill out the form on the right for immedate access to this content. Thank you!